I have outlined several good, basic exercise routines in the past but never really went into much detail about the benefits of regular physical activity. I would like to remedy that today by discussing the top 10 benefits of regular physical activity here. These are based on all my research as well as my experience over the years. At the end I will also share an interesting revelation many people are unaware of. Stronger Heart – regular physical activity will make your heart stronger. It boosts HDL (good) cholesterol and reduces LDL (bad) cholesterol reducing blood pressure and keeping your blood flowing. Efficient blood flow improves overall health and reduces risk of heart attacks as well as stroke. When your heart pumps blood more efficiently you have more energy to accomplish your daily activities. Stronger Lungs – regular physical activity builds up the lungs, increasing lung capacity sending more oxygen to your vital organs, including the brain. Yes, more is better. Improves Mental and Emotional Health – the increased oxygen to the brain will improve your ability to think and reason. Your thinking is clearer and sharper enhancing your productivity. Also, endorphins are released that interact with receptors in your brain that trigger a positive feeling making you happier. Serotonin is also released during physical activity which improves your mood reducing the possibility of depression. Also, as you get into better physical condition you will look healthier and will feel better about yourself boosting your self-esteem. Better Sleep – regular physical activity will make it much easier to fall asleep and will deepen your sleep. Not only does physical activity energize you during the day it allows your body to relax better during sleep. Just don’t exercise too close to bedtime. That will have the opposite effect and will energize you at the wrong time. Stress Relief – regular physical activity will help you reduce your overall stress levels by helping to dissipate the lactic acid that accumulates in the blood. It will ease built-up muscular tension helping you feel more relaxed. Reduces Risk of Cancer – many studies have shown regular physical activity reduces the risk of certain cancers, specifically colon cancer, breast cancer, endometrial cancer, and lung cancer. Also beneficial is regular physical activity while fighting cancer in the body. It increases energy levels, stamina and, in some cases, actually enhances the body’s ability to fight the cancer. Reduces Risk of Diabetes – being an active person reduces the risk of Type 2 Diabetes. Physical activity improves the way the body regulates glucose and reduces the spikes in blood sugar levels. Lowered Risk of Osteoporosis – your bones are constantly being rebuilt in a dynamic process involving the removal of old bone and regeneration of new, healthy bone. Weight-bearing exercise puts tension on your muscles and more pressure on your bones which respond by continuously creating fresh, new bone. Decreases Arthritis Symptoms – regular physical activity keeps joints flexible and helps you build muscle to support your joints. Better supported joints reduces arthritis symptoms. Weight Control – regular physical activity is vital to controlling your weight, whether you are working to reduce your weight or simply maintaining. It burns calories and everyone knows calories are the enemy. In the midst of all the hype and confusion surrounding weight control it is actually quite simple; burn more calories than you consume. Regular physical activity assists in that goal. Yes, there are many products on the market which help you do that, the very best are available through my website http://bit.ly/1XJ7o3b ,but when it all boils down to it they all do the same thing. They help you reduce your caloric intake and assist your body in turning those calories into energy, not fat. And now the revelation I mentioned in the first paragraph; weight control is far more dependent upon eating wisely as compared to exercising. Some experts gauge it at 90% eating and 10% physical activity. I lean more to 80% and 20%. But it’s clear that weight control is overwhelmingly dependent upon what you eat and how much you eat. That being said, as you read above, regular physical activity has many more benefits than weight control and is extremely important to overall physical, mental and emotional health. I will even go so far as to say, you cannot rise to your full potential in life without it. Your body can survive but not thrive, your brain can function but not flourish, your emotions can be stable but not robust. I can go on and on but in conclusion I want to point out that I repeat “regular physical activity” on purpose rather than “exercise”. Many people never set foot in a gym or health club but get plenty of regular physical activity by participating in activities they enjoy. Find something you enjoy and make it a habit. When I began this blog two months ago my goal was to provide simple common sense ideas and guidelines to help people live healthier lives. There is so much noise in the media surrounding fitness and healthy living, much of it contradictory, and it is frustrating for the average person to determine which is solid advice and which is hype. Most of the people I know are very busy with a demanding career and are also focused on spending time with their families and teaching their kids about life and success, supporting them in all their endeavors. They barely have time to take care of themselves and give their spouses the attention they deserve. There are so many simple things we can practice and turn into habits that will help us feel better, look better and live longer. Just making some slight changes to our eating habits can have a big impact over time, especially if we adopt the mindset of continuous improvement. Just a few physical activities each week will keep the body functioning properly and efficiently and if we can find a few things we enjoy doing we will stick with it long-term. Nobody wants to wake up one day and completely change everything they do and change all the bad habits they have developed over many years that make them comfortable. But small changes every day give us a sense of control and as we succeed we are empowered to do more and do better. As we do better we feel better and we find ways to improve those habits that will eventually transform our lives. It is a process that lasts a lifetime. I never intended this to be for the person who is training for the Olympics or who wants to be a professional athlete. Just the average guy who struggles to make time in the week to be active so they can get and stay fit. I hope you are learning something along the way and have come to realize that being healthy is not so hard after all. If I can answer any questions or help you follow through with your goals just let me know. We all need each other to help us be accountable to our commitments. I have written about eating fruit including blueberries but have discovered that this tasty little jewel is one of the healthiest of fruits. They are especially high in anthocyanins which are compounds of the flavonoid family which possess anti-carcinogenic properties. And the cool thing is it is enhanced when the berries are frozen by making them more easily absorbed. Eating frozen blueberries can significantly lower your risk of heart disease. This is because the nutrients regulate and relax the elasticity of your arteries in the vascular wall, keeping them from getting damaged. This also improves your blood flow, giving you a healthy blood pressure in the process. The anthocyanin in the berries can actually improve your memory functions, and protect your brain against cell damage and loss. The berries can also improve your nerve cell growth, and make communication easier between nerve cell processes. This actually slows down the rate that they age, and ultimately, die. 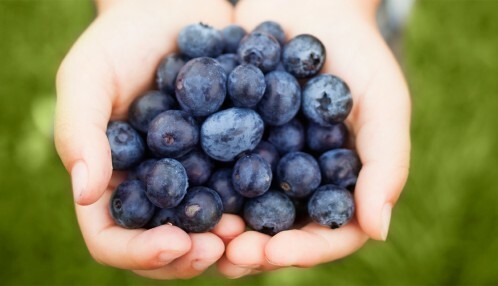 The antioxidants in blueberries provide your nerve cells with protection. They also keep your brain healthy from the various forms of pollutants that it’s exposed to every day. 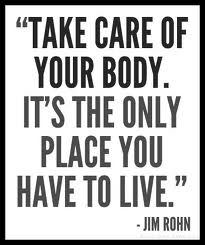 They basically create a safeguard around your nervous system to keep it healthy and strong for a longer period of time. Older adults, who are suffering from impaired movements (70+ years), generally perform and behave more function after eating frozen blueberries. They also show heightened cognitive ability, which translates into improved motor ability in comparison to other men and women in the same age group. The antioxidants in blueberries protect your digestive tract from damage occurred outside sources. What’s scary is, many people who lack antioxidants in their diets consequently develop cancer as a result of poor gastrointestinal health. People at risk of developing colon cancer should definitely bring more frozen blueberries into their diets. Blueberries are already very healthy, but freezing them allows you to get the benefits in a higher concentration than refrigeration. They will taste the same, but will be much healthier after being frozen for a few days. So next time you go to the shop buy a couple extra packs for freezing or better yet, start growing some blueberry bushes around your home if possible and share with the neighborhood. When we succeed, it feels good. Especially when we have set a goal and have worked toward that goal and have accomplished something good. We feel this in our career. We may feel it in sports or in a hobby. Or just working around the house and fixing things. But, can we attain that same feeling of success with our health? It seems so very confusing when we read about a new study telling us we are eating something or doing something harmful. And often it contradicts a study done last year which is why we started eating that or doing that in the first place! Grains are good, protein is bad. Uh-oh, grain turns to sugar and protein now builds muscles. Eggs have artery-clogging cholesterol and grilling causes cancer. No, that was last year. Now we don’t worry about high cholesterol and grilling is still better than frying. So how do you negotiate your way through all the contradictory messages? That’s my goal here. 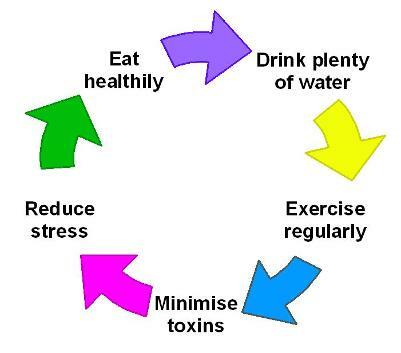 To guide folks to common sense health habits that will serve them well for many years. Because common sense is the best kind. Of course, living healthy is not always easy. It takes discipline and focus. It requires planning ahead and making hard choices. And sometimes it will seem like it is not worth the effort and sacrifice. But it is. 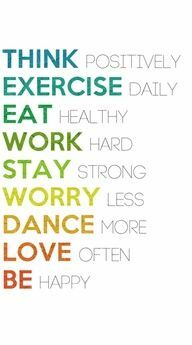 And together we can stay on track to feel better and have more energy to enjoy life. We are halfway through this “new year” and much of the excitement we had in January to do better, be better, and take control of our lives has faded away. I have always loved the new year and the idea of starting over with the goal of continuous improvement. Being better. Doing better. Learning and growing. I always expect to make some changes and do things differently and better in the new year. But change is hard. It takes commitment and determination. Something most of us struggle with. But it can be done. You are reading my first installment of my new blog. My goal is to help us all learn and grow and get better in every way. I will be sharing ideas and insights about health and being healthier physically, emotionally and spiritually. My feelings are that, being in the information age, we have heard and read enough to know what to do and how to act to achieve the goals we want for ourselves. We know we shouldn’t sit down and stuff an entire bag of Lays in our mouth while we watch some meaningless sitcom. Dr. Phil explained that one to us years ago. And it’s probably not a good thing when the employees at the local Krispy Kreme not only know us by name and favorite donut but they know who our kids are dating. Maybe a bit too much time being spent at the donut shop? We also know we should include more physical activity in our lives. And we really should be reading more. Inspiring and uplifting stuff, especially the Bible. We simply need help to do what we know we need to do. That is where I hope I can help. It’s why I titled this blog “When We Succeed”. Because we can succeed at better. We just need help and support. An encouraging word occasionally.